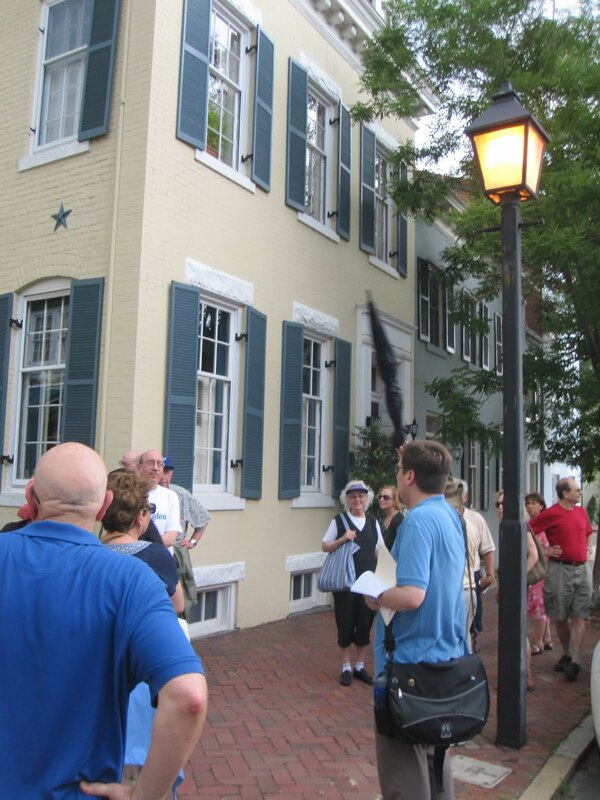 This past Sunday, I led 17 people around Old Town Alexandria. Here's a picture of me pointing out the home of Henry Strauss, Alexandria's first Jewish mayor (1891-1897). We also visited the sites of former synagogues and Jewish businesses--including two containing markers of their Jewish owners. This is the fourth time I've led the tour since we developed it last year, and it continues to be a hit! Stay tuned for when we offer it in the fall.